You may find the lovely and very tenacious Carol Dann working her magic selling raffle and 50/50 tickets at golf tournaments and at pretty much every arts organization in Calgary. 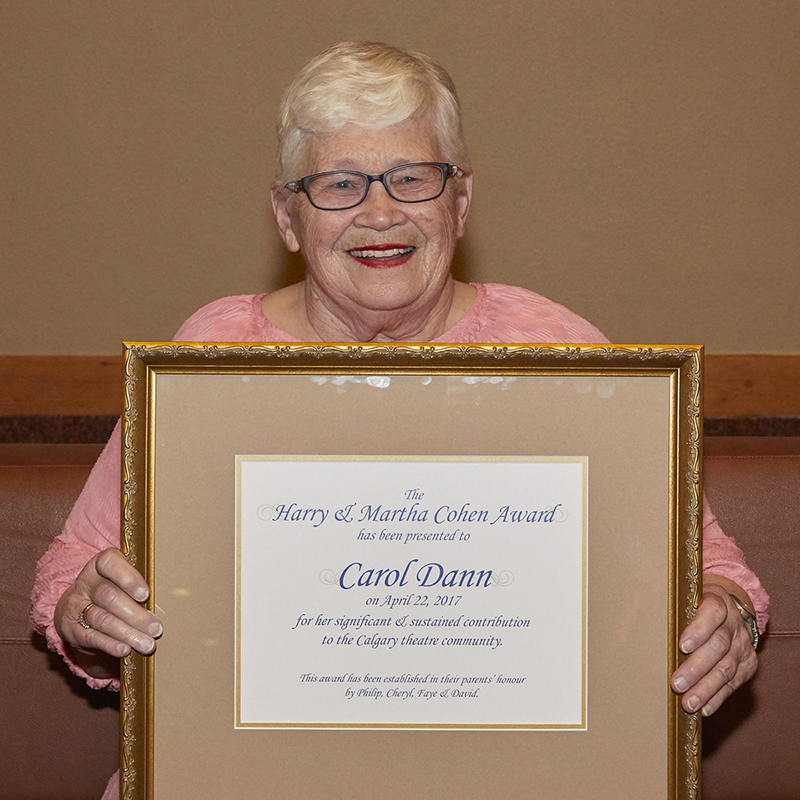 A living volunteer legend, anyone in the Calgary non-profit community would definitely say that the success of their raffles and casinos depend on Carol Dann. She often works the count room at casinos 5-6 nights a week. As a widow and single-mother, Carol spent her life cleaning houses to provide for her family. According to her, the hours were good and she loved that she could be there for her children. After the tragic loss of her son, Carol channeled her energy into volunteer work, and has passionately done so for the past 20 years. Carol retired at age 65 when a bad back derailed her career. Carol Dann currently volunteers at Alberta Theatre Projects, where she single handedly sold over 60% of the 1500 raffle tickets this season. You’ll also find her sporting her 50/50 ticket hat at Vertigo Theatre, and selling raffle tickets at the CPO and for The Calgary Opera. She volunteer ushers for every theatre company in Calgary, and works casinos and stuffs envelopes for the Rainbow Society, the Parkinson’s Society, Ronald McDonald House, The Salvation Army (where she is also part of the Christmas Kettle Brigade), STARS, Make-a-Wish, Kids Cancer Care and the Children’s Hospital. 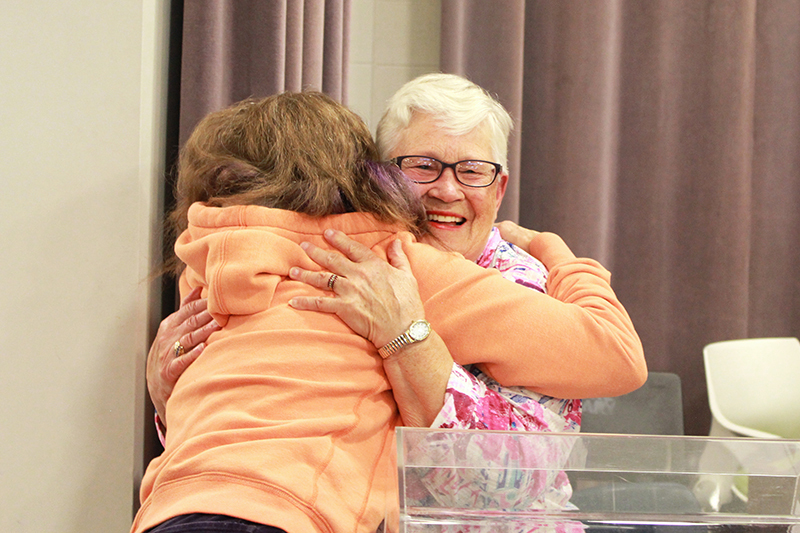 Carol Dann is a one-of-a-kind volunteer with a heart of gold. She’s been known to work the Salvation Army kettle in the afternoon, sell raffle tickets at ATP in the evening and head to a casino to volunteer for a 10:30 pm – 3:30 am shift. Carol says, “I can’t always write a cheque, but I will always have my time to give.” She hopes she will inspire others to give, even if all they have is time. Carol deservedly received the 2017 Harry and Martha Cohen Award for Significant and Sustained Contribution to Theatre in Calgary. We are proud to have Carol as a volunteer at ATP!